Possesses good height and a thin build, but has the frame to add additional girth without losing much athleticism. Displays a natural feel for the pass game in zone coverage. Keeps his head on a swivel, feels routes develop around him and displays the fluidity in his hips to quickly open up and make a play on the football. Is at his best in off coverage where he can sit in routes, read and react, and can simply undercut throws. Displays some natural click and close ability when driving on passes in front of him. However, gets too upright in his drop, doesn’t consistently keep his base under him and wastes too much motion out of his breaks. Not as clean as he could be driving on the football. Picked off 6 passes last year and recorded 17 passes defended. But displays only slightly above-average ball skills. Will leave some picks on the field and I don’t think his ball skills are quite as good as his stats make them out to be. Needs to do a better job catching the football more consistently. Not real comfortable in man coverage at this stage however. Lacks great straight-line speed and doesn’t seem to trust himself on an island. When he plays closer to the line likes to prematurely open up his hips in order to keep receivers from quickly getting behind him, will give up routine separation underneath. Gets upright when asked to turn and run, doesn’t possess the type of second gear to quickly get back up to speed and can easily be taken advantage of by vertical speed. Gets leggy out of his breaks as well trying to re-direct because of his high pad level. He does locate the football well in all areas of the game, possess good balance when asked to adjust to the throw and possesses the coordination to make a play at the highest point. Is only an average drag down tackler, and lacks pop into contact but takes good angles toward the football and gives an honest effort. Impression: A smart, productive corner who can consistently make plays on the football. He’s not a guy who will consistently hold up in man on the outside in the NFL. However, he’s shown the ability to routinely get early jumps on the football and come down with the catch. Looks like one of the safer prospects in the draft as a cover two type guy. Strengths: Plays bigger than he is, takes on big WR’s with ease – Good, not elite speed – Incredible ball skills, is an interception machine – Has the ability to fight off blocks and make a tackle – Reads plays quickly – Smooth backpedal and fluid hips – Feisty competitor, can lay a good hit on a WR – Smart kid on and off the field. Hayward was one of the more experienced players in college football. 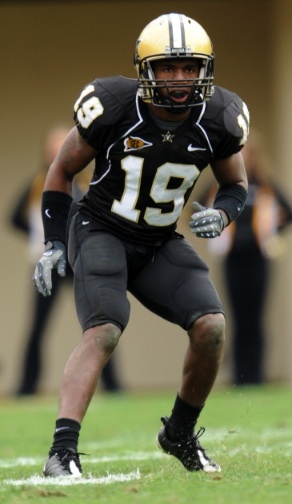 The cornerback saw significant playing time as a freshman in 2008 then was a full-time starter the entire rest of the way at Vanderbilt. As a sophomore he led the team with 8.5 tackles for loss and had two interceptions. Hayward picked of six passes as a junior to go along with 70 total tackles (59) solo. He is coming off a strong senior campaign during which he had seven interceptions, which he turned into 107 yards including a 50-yard touchdown. Hayward made 62 total tackles (7.5 for loss). Casey Hayward is my type of corner. Smart. Knows what he’s doing. Athletic. Not super fast, but can hang with receivers. I would put him in the slot right away. Makes plays on the ball. Turns well, tracks the receiver. Technically sound. Not going to be a star, but is physical and makes plays. 3rd or 4th rounder. 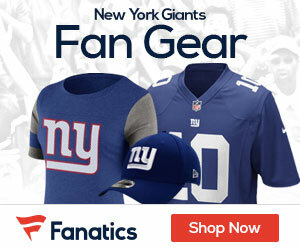 The Giants need depth at corner, particularly at nickel corner. We do not know what’s going to happen with Terrell Thomas and we don’t know if Aaron Ross will be back. Hayward works well in cover 2. I think he will also fit nicely on special teams. I like him in the 3rd round as a productive, slot corner who can contribute right away.